George Samuel Klug, having been hired in Poland by Pastor Stoever, became the next pastor when Pastor Stoever died at sea. The young Pastor Klug was born at Elblag, Poland, had been educated at Helmstadt University and ordained in 1736 so he was ready to listen to Pastor Stoever when he, Michael Holt and Michael Smith approached him about becoming the assistant pastor at this little church in the American colonies. He was a young man just out of seminary and ready for an adventure, obviously. After agreeing to be the assistant minister, Klug went to London where he studied for several years before sailing for Virginia. One would suppose that he studied English along with more theology but he might also have tried to become more familiar with teaching techniques because he was to teach the children of the congregation and be a missionary to the Indians. Pastor Stoever also stayed in Europe studying theology but not in London. Michael Holt had returned to the colonies but Michael Smith remained with Pastor Stoever and they returned after having been away for about two years. On the return voyage, Pastor Stoever became ill. He realized that he might die so wrote his last will and testament before he died. He was buried at sea. This is when Pastor Klug came to take care of this congregation. It was 1739 and there was much to be done. He found himself as pastor, schoolteacher, overseer of construction, purchaser of slaves, and land acquisitioner. He also became a husband when he married Susanna Castler (Gessler), daughter of Matthias Castler, one of the colonists who arrived around 1717. Pastor Klug remained very busy. Two or three times a year he went over the mountain to “keep the faith alive”. He baptized and gave communion to those Lutherans in the valley who did not have a minister—and there were many who had come down the valley from Pennsylvania. We don’t know why, but the school he had started was discontinued for a while and the building not taken good care of. Perhaps he was trying to do too much. In 1749 Pastor Klug went to Pennsylvania to visit some of the Lutherans there. 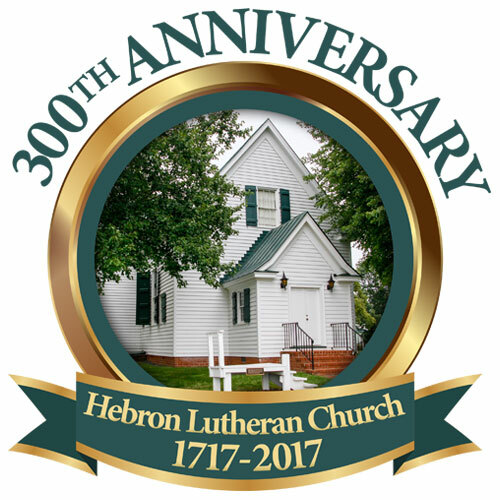 He met with Henry Melchoir Muhlenberg who lived a very strict life among the Pennsylvania Lutherans. Muhlenberg didn’t entirely approve of Klug because he was a slave owner and lived a fairly comfortable life in contrast. And he thought that Klug was much too fond of the Anglican Church and Virginia Society. It was true that Klug had associated with the Anglicans—he had much in common with them. He had even preached for the Rev. John Thompson, Anglican priest and builder of Salubria, when he was courting the widow Lady Spottswood whom he later married. 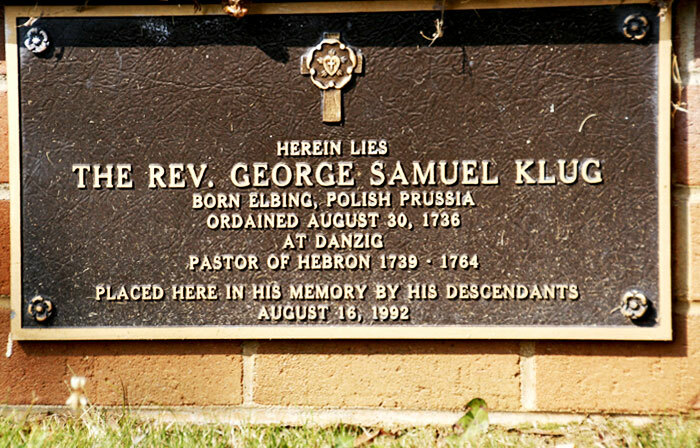 Pastor Klug died in 1764. He requested that he be buried under the church. He had no will but left a wife and 9 children. Susanna remarried and several of the daughters married sons of members of the congregation. One of his sons became a minister.